BIG GULP for BIG FOOT! 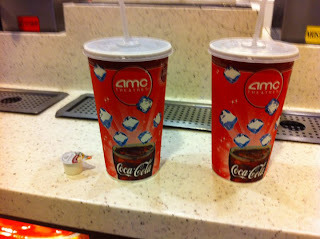 We went to the movies today and I ordered a medium drink and they gave me a medium drink that was meant for BIGFOOT!! Look at the size difference between the creamer and the soda.. This is one of MANY reasons why people are fighting obesity here in the USA.